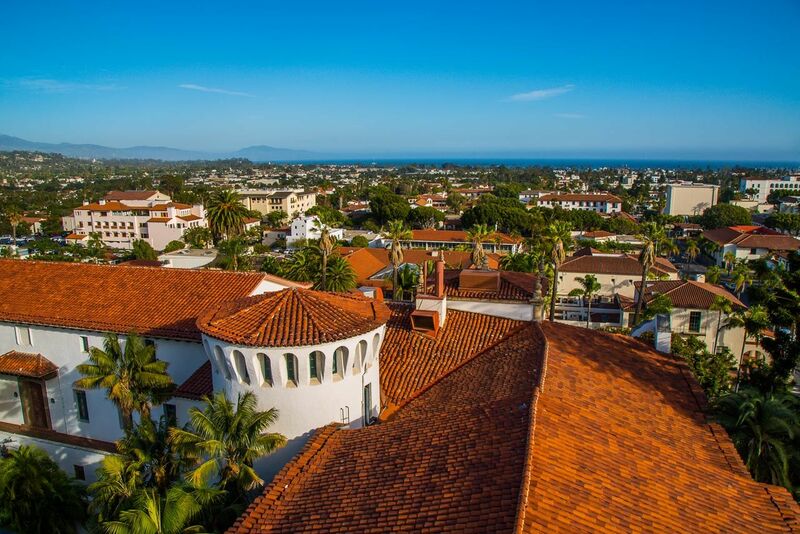 Right now is a great time to visit Santa Barbara. The city is experiencing a renaissance of sorts, with many developments that are turning heads and transforming the area. And, of course, there’s the food. Santa Barbara had been on my radar as a foodie paradise since my days working on shows for the Food Network, but I didn’t expect to see and taste as much as I did in such a short amount of time. Between the food and wine, there were plenty of flavors to entertain my tastebuds and an equal number of ways to burn off the calories. 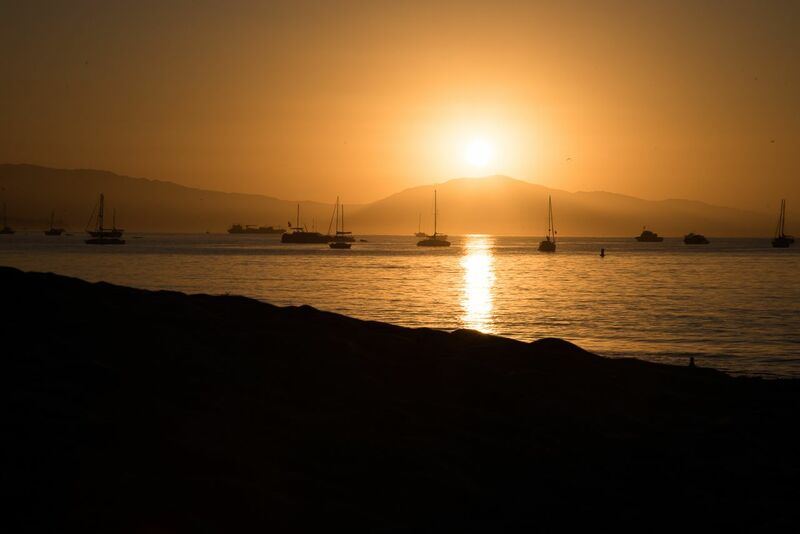 This beautiful stretch of Californian coastline has obvious draws, but recently the area near the waterfront has been undergoing some major changes, connecting two of Santa Barbara’s most popular areas: the beaches and the downtown shopping corridor. The grand opening of Hotel Californian in September 2017 is a big deal. It spans three city blocks in a lot that was vacant for 20 years. Its Spanish-inspired facade nods to the original 1925 Hotel Californian, while the interior has a Moorish style of décor. Plus, there’s a Moroccan-inspired spa. 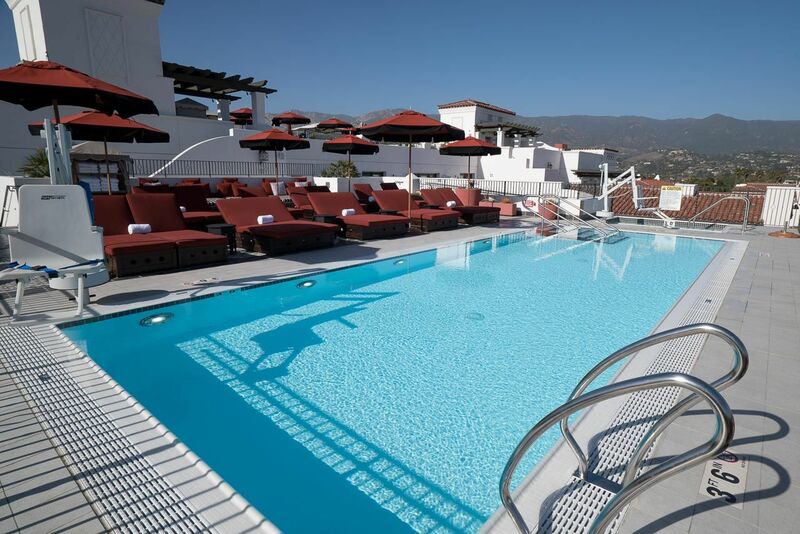 The rooftop pool has refreshing views of the waterfront and the Santa Ynez Mountains; it’s an easy place to hide away for the day. To be just a few blocks from the waterfront and steps to the trendy Funk Zone is a great reminder that you deserve an escape. 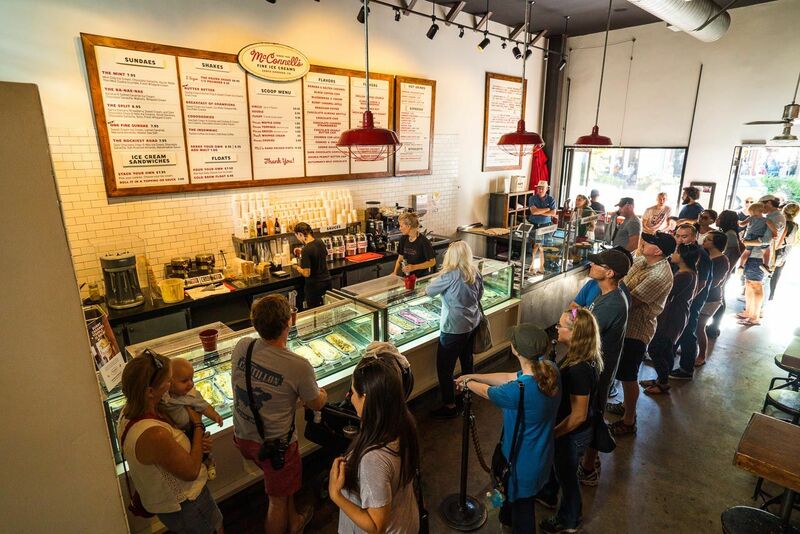 This, along with other exciting developments in recent years (and more to come), makes it a hot time in Santa Barbara. Santa Barbara’s food scene is no joke. Their year-round growing season produces a healthy supply of fresh local produce that fuels the restaurant industry and overflows into frequent farmers’ markets. The best way to get a taste for the city is to book a walking food tour. I let Santa Barbara Tasting Tours show me around for the afternoon, squeezing in six locations in our four-hour tour. We sampled everything from savory nibbles to sweet treats, biting into handmade lobster ravioli and spoonfuls of McConnell’s fine ice cream. We also devoured vegan walnut-black-bean sliders at The Honey B Kitchen — so good I didn’t miss meat one bit! One of my favorite stops was Chocolats du Cali Bressan. I can’t stop thinking about those delectable treats! 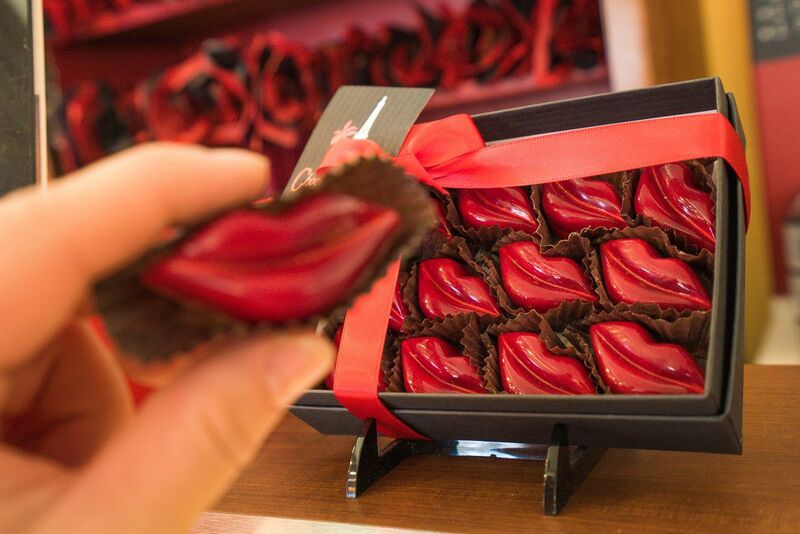 These handmade French chocolates come in a variety of fun shapes and flavors. The caramel-filled Buddha Beauties and French Bissous (“kisses”) were irresistible. I would have taken a whole suitcase of chocolates home with me if I could. The city of Santa Barbara has a certain swagger. Everywhere you look, you’ll see the famous red-tile roofs and white-washed buildings that make this city so iconic. It’s charming, to say the least. 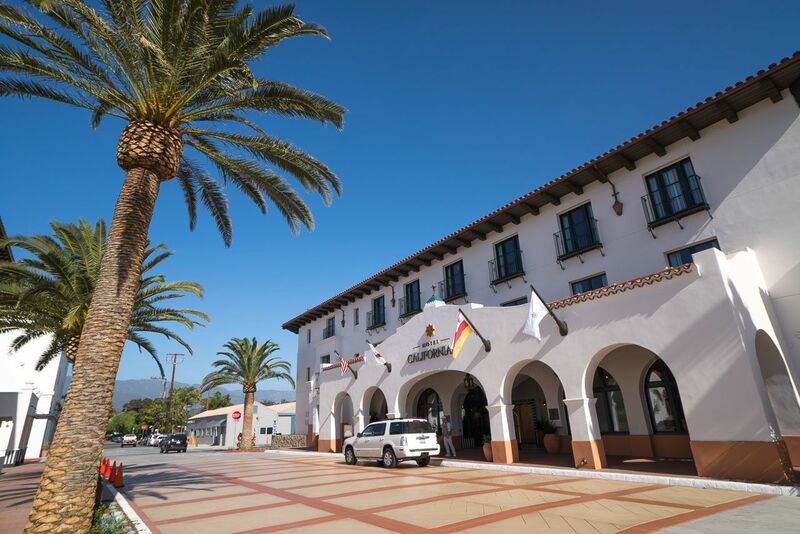 After a devastating earthquake in 1925, the city was rebuilt in the Spanish Colonial Revival style of architecture and was rewarded with a strong sense of identity. 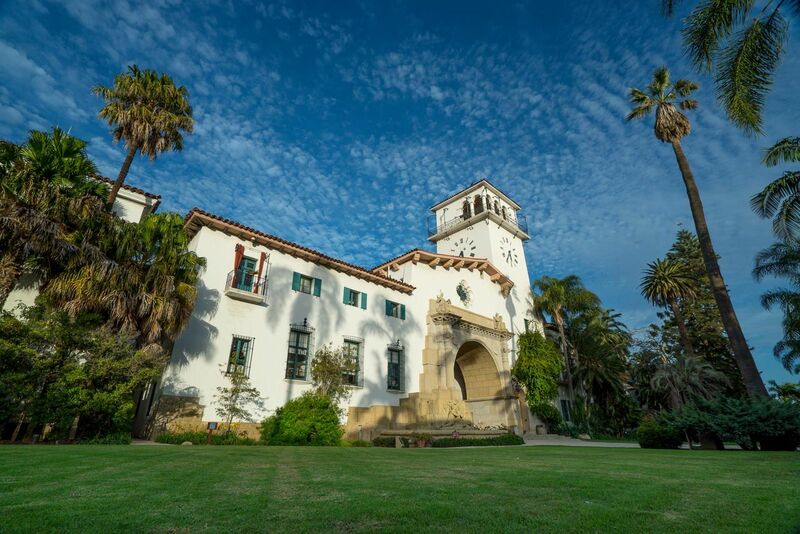 The Santa Barbara County Courthouse is a shining example of Santa Barbara’s quintessential Spanish-Colonial style of architecture, built in 1929 and still a functioning courthouse. There’s lots to see inside and out. Climb (or ride the elevator) to the top of the clock tower to take in the scenery and admire the red-tile rooftops abound. One note: this observation deck closes a bit earlier than the rest of the complex at around 4:45. The emergence of Santa Barbara’s Funk Zone makes for a unique experience in this town. Considering the style and class of State Street, it’s nice to see a more raw section of town making a racket. This area was once a manufacturing hub for the fishing industry. Now, it’s an eclectic 12-square-block area near the waterfront and east of State Street that has become an interesting mix of eateries, wine-tasting rooms, craft breweries, art galleries, industrial buildings, and more. I woke up early to wander around on foot, discovering colorful artwork around every corner. It seems even the locals have a hard time choosing a favorite and so did I. 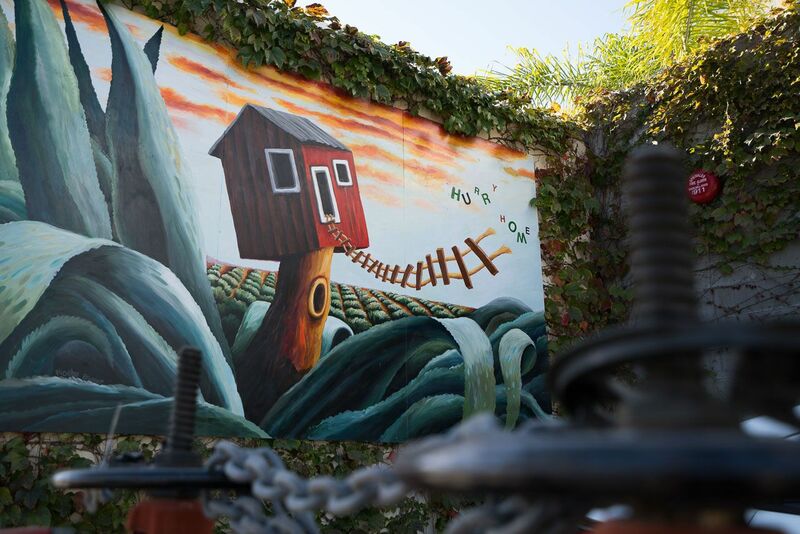 Along East Yanonali Street between Anacapa Street and Helena Avenue, you can find some colorful work by the Los-Angeles based artist David Flores, who got his start in Santa Barbara That said, these magical murals disappear when the shopkeepers open for business, so come early or late. Santa Barbara’s surrounding wine country offers many excuses to sample the wine. The region is known for its diversity, producing 50+ varietals of grapes. 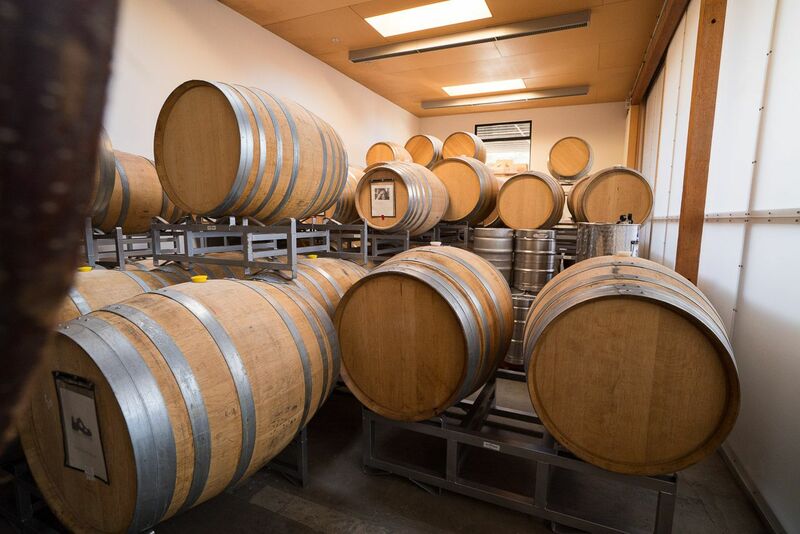 Novices and aficionados will both enjoy tasting along Santa Barbara’s Urban Wine Trail, a collection of over two dozen wineries. I scheduled a tasting at Sanguis. It’s a bit off the beaten path, tucked away in an industrial zone, but worth the trip. They house their tasting room and production facility in a converted warehouse, so I could spy on their production process. I got to meet the main man himself, Matthias Pippig, who is the head of the operation and responsible for their unique small-production blends. 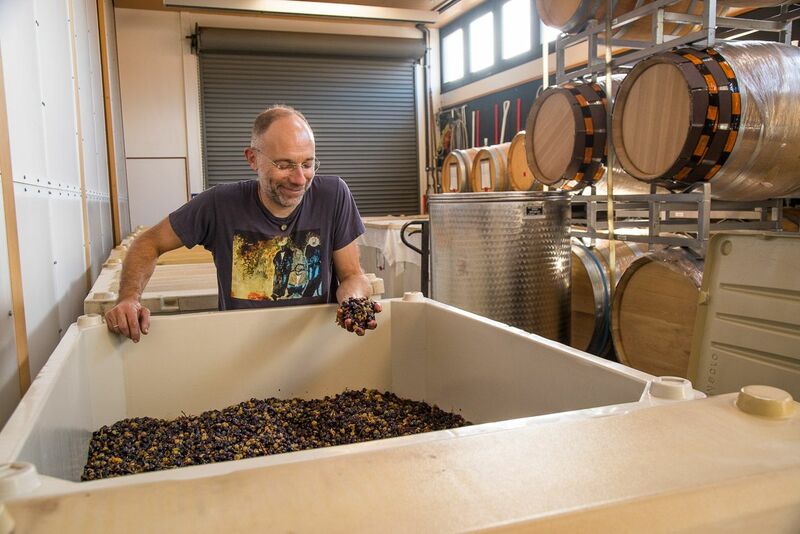 I loved witnessing their creative minds come up with names for their wine blends, honoring musicians, celebrities, or whatever inspires them at the moment. One thing you have to eat when you come to Santa Barbara ix the tacos. It’s a right of passage. People are passionate about their taco traditions, be it a hole-in-the-wall mom-and-pop joint or a Taco Tuesday event. And the crowds, they line up with patience. With so many tacos to try, and so little time, thank goodness the Taco Trail will point you in the right direction. 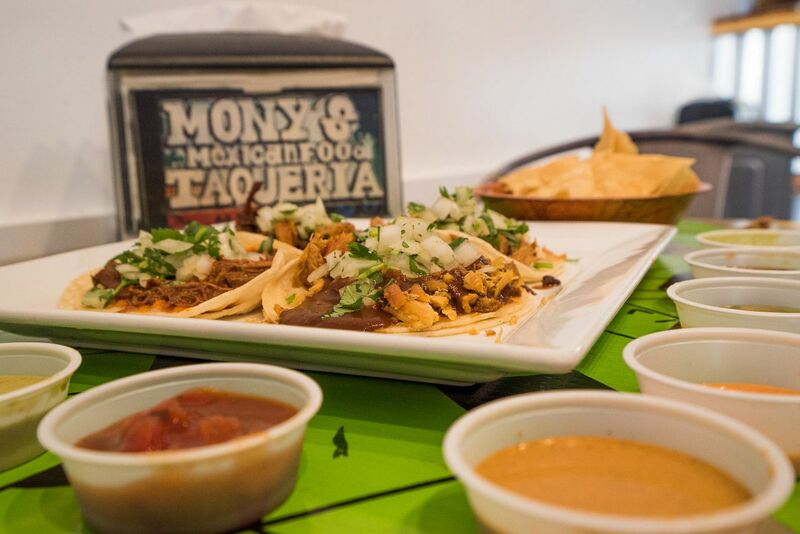 Speaking of tacos, I scarfed down several at Mony’s Taqueria in the Funk Zone. This family-run Mexican Food favorite had some of the most creative and flavorful salsas — pistachio, avocado, and mango. Mmm! Every bite was a delightful surprise. I recommend coming at 11 to avoid the crowds. Of all things to do in Santa Barbara, I highly recommend spending some time outdoors. 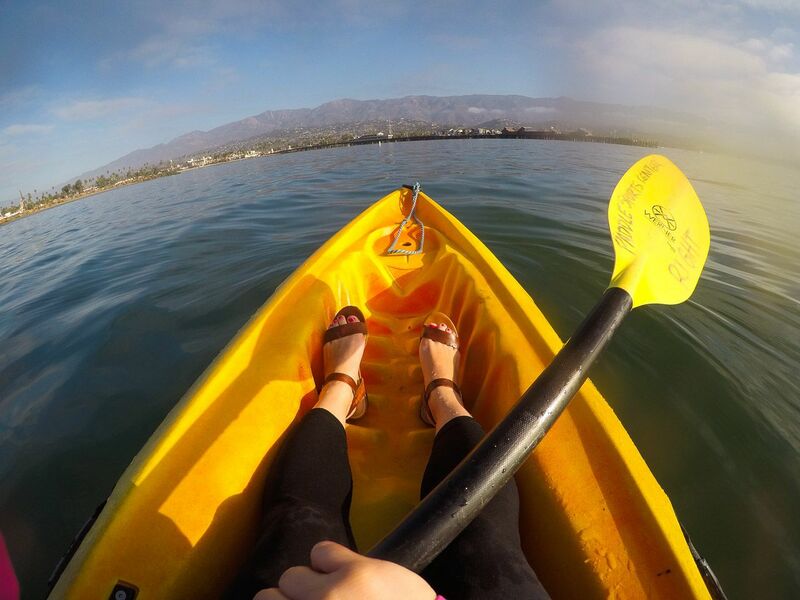 With 300 days of sunshine, there’s plenty of opportunities to enjoy the water. Conveniently located at the harbor, Paddle Sports Center has SUP boards and kayaks available for hourly rentals and guided tours on the water. I took to the water by kayak for a self-guided paddle, a welcome excuse to get some exercise and enjoy the serene waters. You might see some sea stars under the wharf or maybe even spot dolphins. I made a commitment to pay a visit to the sea lions at their favorite navigation buoy. When I got there, I think they were out to lunch. Right before I returned my kayak, I discovered a lone sea lion hanging around the fishing boats. While the fishermen were not serving lunch, it was fun to see the sea lion right up close, in its most optimistic state of mind. When it comes to places to stay, the Wayfarer is a stylish boutique hotel that uniquely doubles as a hostel in Santa Barbara’s up and coming Funk Zone. I enjoyed a private room and king size bed, not realizing that there was a bunk bed hiding in the oversize headboard. On second thought, that was not hard to believe after seeing how one corner of the bathroom transformed the room into a shower, with help from a swinging glass door that protected the toilet and mirror from getting a spray. Four dorm rooms are equipped with bunk beds and lockers, offering an affordable yet stylish option for those on a budget. The upscale shared kitchen space was a welcome comfort of home. I liked the convenience of having a self-serve style breakfast, perfect for a gal on the go like me. Guests can also sit down at the community table and read the paper and make new friends. The colorful community area, heated pool, and calendar of activities make the Wayfarer just the type of stylish community experience this world needs more of. Being so close to the water, it’s easy to talk yourself into a sunset boat ride. 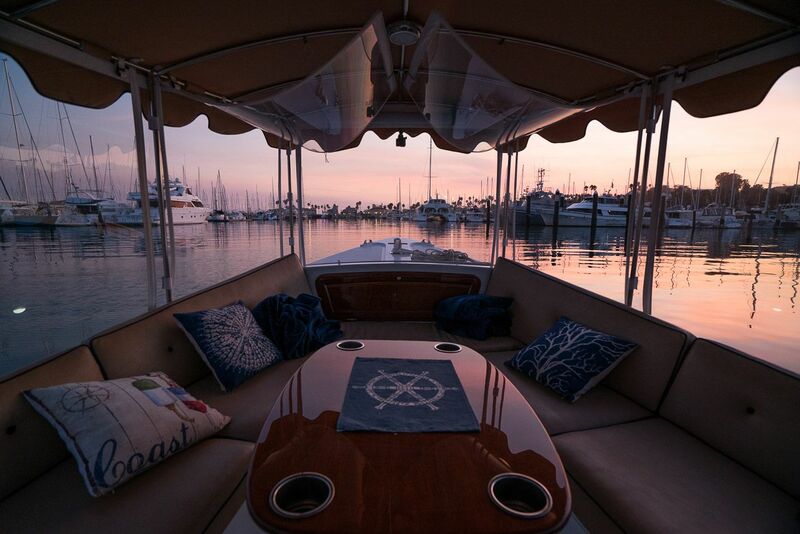 At golden hour, you can hop aboard Celebration Cruises‘ multi-level 70-foot yacht for a ride along the coast. I boarded the Whisper, an electric boat available for private charter. It was surprisingly quiet, so you could really take in the sounds of being on the water and hear your own thoughts. It was pure magic when the sky turned pink and orange and the reflections in the water mirrored the sky. What a perfect ending to a great day in Santa Barbara. Note: Juliana was a guest of Visit Santa Barbara.